With the Atkins Diet great emphasis on meat and cheese, is it possible to follow a vegetarian Atkins Diet? The answer is YES, if you are willing to take some time and expend some effort to plan carefully to ensure adequate protein and nutrition. For those vegetarians who eat eggs, and/or dairy products, ensuring adequate protein intake may be easier than for strict vegans while following the Atkins Diet. A good rule of thumb for adequate protein intake is 2g of protein per pound of healthy body weight. Yes, that probably sounds like a lot, especially when most diet plans -- especially vegetarian plans -- tell you that you need only consume 30 to 50 grams of protein per day. However, for optimum health, and for the best success on a low-carb diet, more protein is recommended. Your body cannot function without the essential amino acids in protein, and those amino acids are used in a myriad of body functions and processes. Many of the necessary amino acids can be produced by the body, but there are nine which must be provided from outside sources. Without those amino acids, your body cannot make the various proteins that it needs for healing, growth, and other functions. The interesting thing about food is that meats and other animal proteins contain all of the essential amino acids in the right proportions. Vegetable proteins, however, do not. That is why vegetarians are told to combine beans and grains -- because only together do they form a complete protein the body can use for its vital functions. Soy protein is also important to vegetarians because, while it is still an incomplete protein, it is closer to complete than any other vegetable source. Soy, however, has numerous documented health risks, and should not be consumed in large quantities. If you are a vegan and wish to follow a low-carb diet (and the Atkins plan is simply not workable for vegans, generally), you can focus on nuts and seeds for your protein needs. 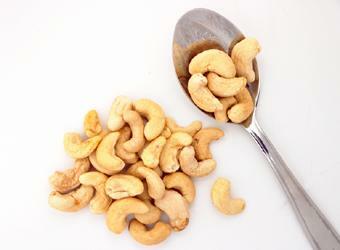 Nuts and seeds -- especially seeds -- contain more protein per ounce than any other vegetable source other than soy. Soy protein powder will also be invaluable to the vegan low-carb dieter. The other foods allowed on the Atkins plan should pose no problems for the vegetarian, no matter what level of vegetarian diet is followed. The Atkins Diet Food List contains nearly all vegetables, with the exception of potatoes, corn, and peas. Dried beans are a bit problematic, as they are high in complex carbohydrate. Again, a less strict low-carb plan would be more desirable if you wish to include many dried beans in your diet. After the induction phase is complete, low-carb fruits, like berries and cantaloupe, may be added to the diet in small quantities. The oils and fats allowed on the Atkins Diet should present no problems to the vegetarian dieter, as olive oil, nut oils, and vegetable oils are permitted. Butter is allowed on the Atkins plan, so lacto-ovo vegetarians may include that fat, while vegans will want to omit it. Similarly, cheese will be a staple for lacto-ovo vegetarians, while vegans will be more limited by the varieties of soy cheeses available to them. The basic premise, then, of adapting the Atkins Diet to a vegetarian lifestyle is variety. A large variety of seeds and nuts, along with ample quantities of eggs and cheese, is crucial. Judicious use of soy products, and adequate quantities of fresh vegetables and some fruits will add variety and interest to the diet. The success and safety of this eating plan is dependent on careful planning for a wide variety of protein sources in your menus.